Pre-owned, in LIKE NEW CONDITION with original Patek Philippe Passport wallet. 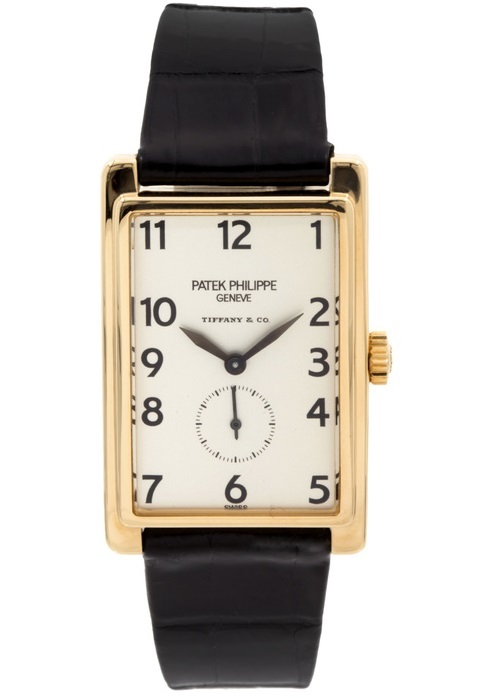 18K, 25 x 39mm yellow gold case, traditional winding movement, with solid gold case back. 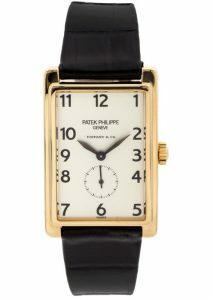 Comes on a new original Patek Philippe crocodile leather strap and original pin buckle.